Founded in 1890, Basingstoke-based Chas A Blatchford & Sons Ltd (www.blatchford.co.uk) has built a global reputation as a developer and provider of lower-limb prosthetics, orthotic and specialist seating products, and clinical services. The company responded to the mobility needs of World War II amputees by developing a prosthetic knee that allowed for stabilised weight bearing and flexion when walking. It was known as the Blatchford Stabilised Knee, and the company has continued to develop increasingly sophisticated prosthetics ever since. 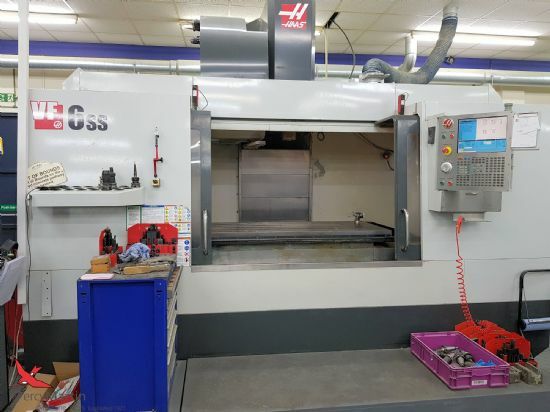 In 2014, Blatchford decided to upgrade one of its older lathes, and manufacturing engineering manager Ian Keeley opted for a Haas ST-10Y turning centre with a bar feed and additional Y axis. He said: “I’ve worked with Haas machines all my life. I did my apprenticeship at a company in Coventry that had 14 of them, so I knew they were quality technology. 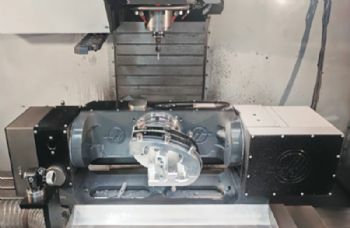 This investment was closely followed by a Haas VF-3YT vertical machining centre, with a Y-axis travel extended to 660mm and a five-axis trunnion. Blatchford’s latest investment is a Haas ST-30Y Y-axis turning centre. “This lathe has a maximum of 48 offsets, and we’ve engineered the set-ups so that we use nearly all of them. The ST-30Y produces components for high-end hydraulic ankles, knees and feet. Most recently, it was used to make components for Linx — a microprocessor-controlled lower-limb system where the foot and knee continuously talk to each other to optimise performance and improve safety. This innovation earned Blatchford the 2016 MacRobert Award.